The answer is a resounding yes. Xanax, a member of the Benzodiazepine family, is used to treat problematic anxiety attacks and chronic panic disorder. However because it is highly addictive it is extremely easy to suffer a Xanax overdose. Xanax besides being known to promote dependency in it’s users also lends itself to the development of a tolerance to the recommended dosage. In other words, with prolonged use the patient body could become immune to the effects of the medication. Thus a larger dose would need to be administered to achieve the same effects. Under the care of a licensed physician, the physician would carefully monitor the increase or make alternative recommendations in order to lessen the danger of overdose. However if a person were to self medicate or take their treatment plan in their own hands this could easily lead to misuse that could have disastrous end results. How do I know if I’m nearing overdose levels? The warning signs are very apparent and anyone with even the slightest bit of insight could discern if a problem is developing. But just in case here are the symptoms or warning signs of possible Xanax overdose: drowsiness, dizziness when standing, problems with coordination, temporary loss of motor functions, respiratory difficulties, inability to think clearly, confusion, slurred speech and eventually fatality. Before we get to the last warning sign of overdose, which is death, let’s consider what can be done if it is discovered that a possible overdose might be occurring. If you or someone you care about is exhibiting the symptoms described above a healthcare provider should be contacted immediately. A doctor can prescribe medications to counteract the effects of the overdose . Medications such as Flumazenil works as an antidote for all benzo poisoning. In extreme cases a stomach pump may be required to physically rid the body completely of Xanax. Additionally intravenous fluids may be required to hydrate the patient and round the clock observation in the event that complications arise. According to recent studies 400% of emergency room visits are due to some type of overdose or prescription drug abuse. Taking prescription medication is a serious responsibility that should not be abused. Fatalities can result when we do not follow doctor’s recommendations regarding a treatment plan involving the use of prescription drugs. Don’t become a statistic. If you find that your recommended dosage is not providing the relief that you need speak to your physician before modifying your dosage. It could save your life. 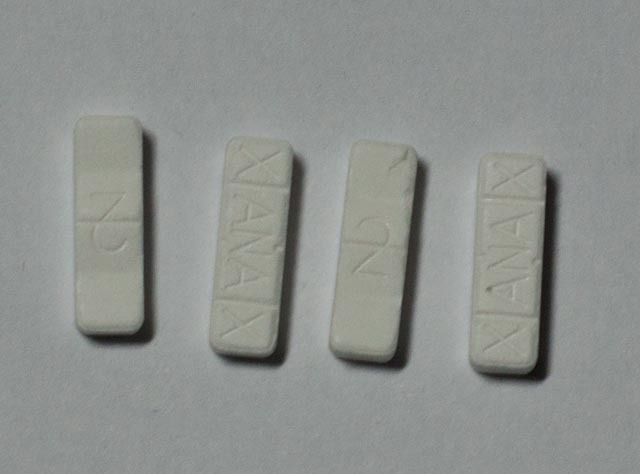 ← Is it Possible to Buy Xanax Without a Prescription?